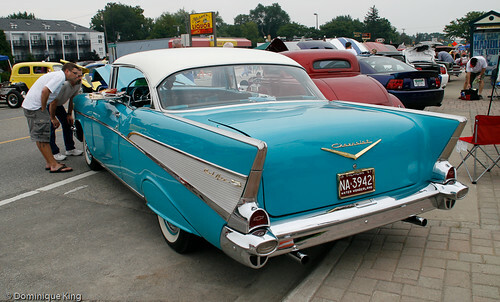 Metro Detroiters love their wheels, and summertime here means a series of anxiously anticipated car shows and cruises. 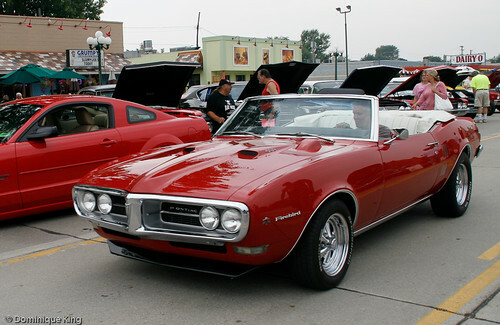 One of the biggest classic car cruises of the season takes place this Saturday as the 16th annual Woodward Dream Cruise rolls down the storied Woodward Avenue cruising strip. Can't wait for Saturday? 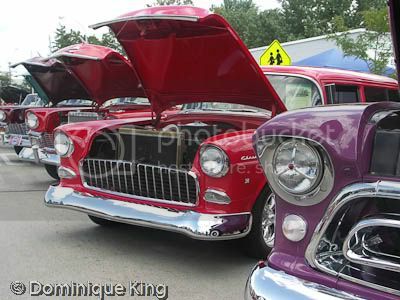 I'm posting a few photos from last weekend's Down on Main Street classic car show in Clawson. We got some great shots as the weather was decent this year, and there were, as always, a lot of great classics. This shot makes me think of "American Graffiti"
The Clawson show, now in its twelfth season, happens the Saturday before the Dream Cruise and is always the perfect way to get revved up for the festivities out on Woodward. 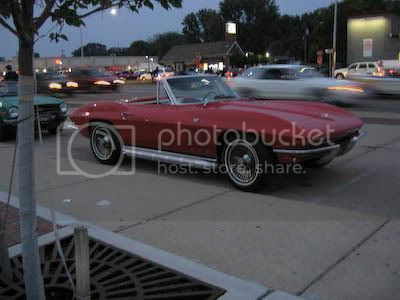 Check out my story, Classic cars congregate in Clawson "Down on Main Street", for more about the Clawson car show. 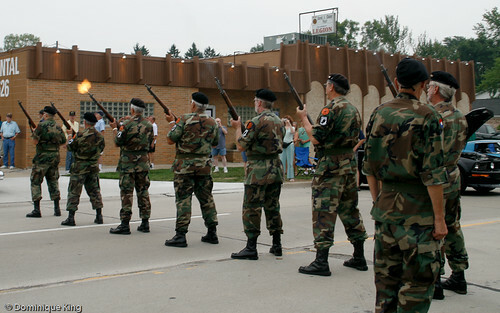 Clawson honors military dead with 21-gun salute "Down on Main Street"
Cruising Woodward is a long-time tradition in this area. Check out this vintage Midwest Guest story, Car Crazy, for more about the event's history and some memories from my father and myself about cruising Woodward over the years. You can also check out the book, Cruisin' the Original Woodward Avenue by the Woodward Heritage Team. My dad enjoyed this little volume full of vintage pictures when I gave it to him as a Father's Day gift. Where I live: Classic cars congregate in Clawson "Down on Main Street"
Take a trip down to the classic-style Main Street in Clawson, Michigan, this coming Saturday afternoon (August 14) and check out my favorite classic car show of the season, the 12th Annual Down On Main Street Car Show. Clawson closes the half-mile stretch of Main Street between Normandy (13 1/2 Mile) and Fourteen Mile Road, creating an outdoor showroom for hundreds of classics that can include cars, trucks, and other vintage vehicles like trailers, snowmobiles, boats, or any other type of historic transportation you might imagine. While anticipation builds all year for the Woodward Dream Cruise, an event that can draw a million visitors to metro Detroit each August, Clawson's show strikes me as a more enjoyable way to actually see and fully appreciate some great vintage vehicles. 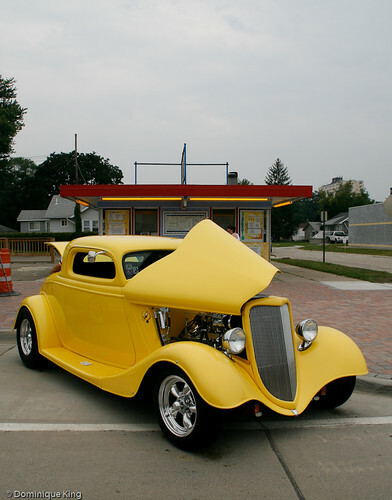 The fact that the Clawson car show occurs the week prior to the official Woodward cruise each year also makes it a great preview for Dream Cruise fans anxiously anticipating the Woodward event. The Down on Main Street show, presented by the Clawson Lions Club with assistance from the Clawson-based United Street Machine Association, draws hundreds of show vehicles. 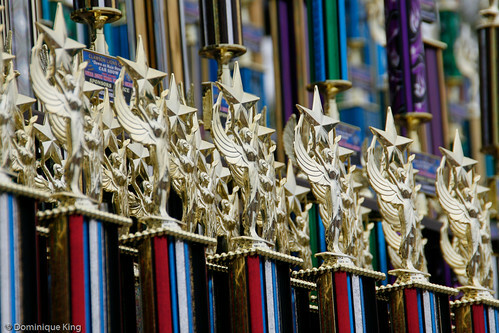 Show organizers review the entries, awarding trophies in Choice, Outstanding, and Best Show categories. The small-town and family-friendly-street-party vibe makes Down on Main Street a more relaxed alternative to the larger event out on Woodward. You're also far more likely to be able to chat with the cars' owners or check out their photo albums showing their vehicles' restoration. The angle parking arrangement of vintage vehicles along both sides of the closed road creates a broad concourse where spectators can check out the show vehicles without the crush of crowds the Woodward event generates--making it easier to take photos, too! I like the ability to zoom in on details like pristine whitewalls, fancy chrome hood ornaments, and some kitschy and fun adornments like the car tray attached to a vintage police car I spotted one year. Admission to the Clawson show is free, while proceeds from the show vehicle entry fees benefit Leader Dogs for the Blind and other charitable projects supported by the Clawson Lions Club. There are usually several food stands located along the show route, and Clawson's recently re-energized downtown offers plenty of dining options from a classic root beer float at A&W to a number of sit-down dining choices along the way and well within walking distance of the show route. I really missed this show last year when pouring rain dampened everyone's spirits and kept both spectators and crowds away--well, maybe except a few hardy souls with umbrellas and one lone photographer getting drenched while taking a photo with her point-and-shoot camera. 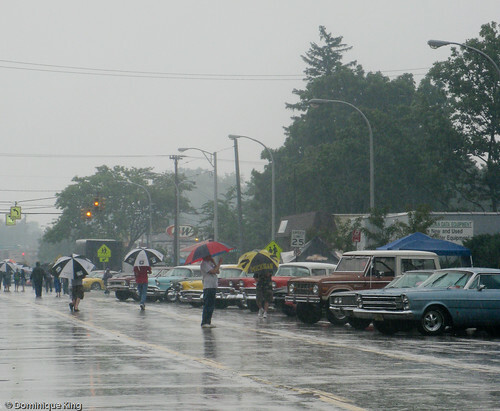 I'm hoping this year will see the return of sunny skies and great weather for Clawson's Down on Main Street car show! Note: "Where I live" posts are part of a series of periodic stories about special events and people in, and around, metro Detroit. "Where I live" posts are stories I'll post in addition to my regular schedule of stories about attractions around the larger Midwestern region. I hope you enjoy reading them as much as I enjoy writing them. 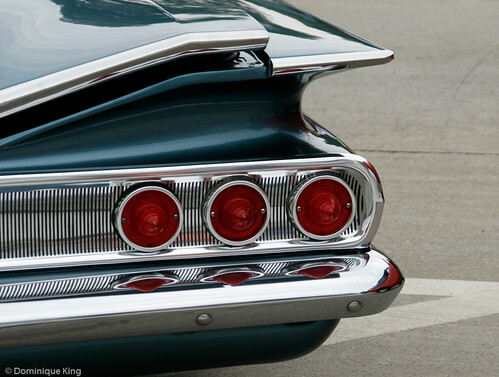 Classic car enthusiasts eagerly anticipate each annual Woodward Dream Cruise, but as with any event drawing more than a million people and streams of exhaust-belching vehicles, it can be crowded, noisy and smelly to headache inducing levels. 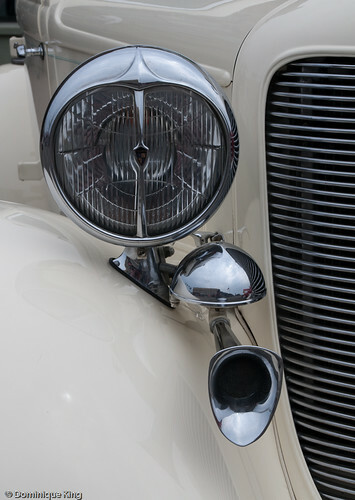 There are many classic car owners who find driving the route too taxing on their vintage engines, preferring to rent pricey space along the avenue for the weekend of the event, parking and watching the passing show. 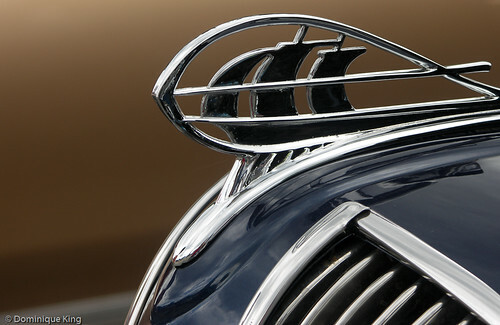 Here are a couple of my favorite cruise-related events that offer a closer view of the “classic car culture” experience and a way to really enjoy the spirit of the Dream Cruise. The small town of Clawson, a couple miles east of Woodward Avenue and a half-dozen miles north of Detroit, likes to do things in a big way. 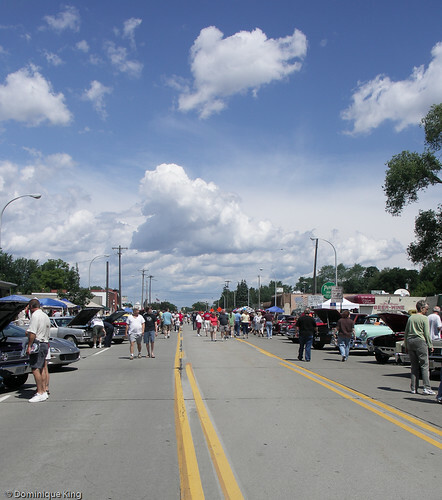 Clawson began closing Main Street for a half-mile stretch through town the Saturday before the official Dream Cruise ten years ago to stage their first “Down on Main Street” car show. Hosted by the Clawson Lions, with promotional assistance from the Clawson-based United Street Machine Association, the show draws more than 500 classic cars. 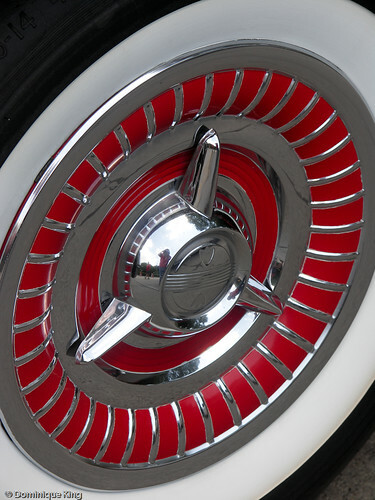 The car show registration fees go to charities benefitting disabled children and adults. We love walking up to Clawson from home and strolling along Main Street, stopping to admire some of our favorite cars, taking photos and talking to the owners. Some owners display scrapbooks and photo albums detailing the meticulous restoration of their vehicles. 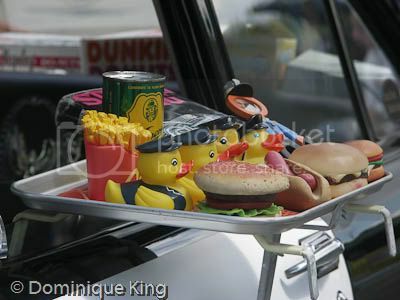 Others display a more puckish sense of humor by decking their cars out with drive-in restaurant trays or dolls dressed in leather jackets, peering into their car’s engine. Fundraisers are a big part of the Dream Cruise experience and another of my favorite events is the Champagne Cruise benefitting Forgotten Harvest. Forgotten Harvest addresses the dual problems of hunger and waste by arranging to pick up surplus food from area grocery stores, restaurants, caterers and other commercial food businesses and delivering those donations to area soup kitchens and to others in need. The Champagne Cruise offers a more elegant way of watching the cars from a prime Woodward location while sipping champagne, dancing to the music of an oldies cover band and chowing down on an array of food from Detroit-area restaurants and the event host, Westborn Market, in Berkley (Michigan). Even as the event is a relatively high-ticket fundraiser at $150 per person, the vibe is distinctly laid-back and the money supports Detroit’s well-regarded mobile food rescue operation.